I then attempted to determine the positive and negative implications of each course of action. 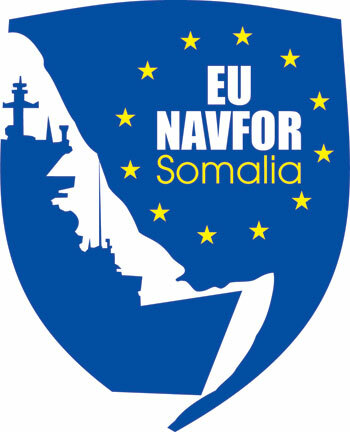 Earlier today, European Union Naval Force (EU NAVFOR) Somalia launched its first raid of pirate bases on land. This operation was a dramatic shift in the traditional sea-based approach to counterpiracy and was conducted entirely from the air. Although this type of operation was conducted in accordance with the United Nations Security Council Resolution 1851, some of the countries and coalitions involved in sea-based counterpiracy operations had been reluctant to target pirate operations on land. Admittedly, in that section of the paper, I overlooked a very important potential implication of kinetic operations ashore – violence against the hostages. Somali pirates are believed to be holding 17 ships and 300 crew members. While pirates make money from ransoming both the ships and the crew, they will need to send a message to deter future EU NAVFOR strikes ashore – as well as any other countries or coalitions considering a similar course of action. It is therefore possible that they might decide to make an example of a handful of crew members not only as a reprisal for damage done to their bases and equipment at Harardhere, but also to reinforce that kinetic operations ashore may put the lives of other hostages at risk. Therefore, EU NAVFOR’s strike against pirate bases at Harardhere represents a potential game changer for the treatment of current and future hostages. Yesterday, the International Maritime Bureau’s Piracy Reporting Centre released its quarterly report on Piracy and Armed Robbery Against Ships, which highlighted the rise in pirate attacks in West Africa – mainly in Nigeria. While there were 10 reported pirate attacks in Nigeria for all of 2011, in the first three months of 2012, there have already been 10 attacks. 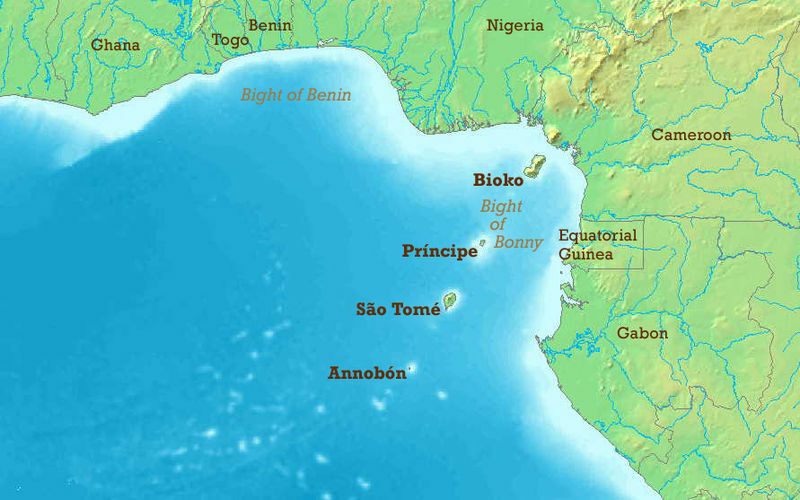 Attacks perpetrated by Nigerian pirates have also been occurring elsewhere in the region, such as the one additional attack in neighboring Benin. Furthermore, incidents are occurring further away from land (in excess of 70 nm), which suggests that Nigerian pirates are using fishing vessels as motherships to increase their range of operations. This is a contrast to attacks perpetrated in the early days of Niger Delta piracy, which were actually cases of armed robbery at sea – cases where vessels were attacked in port or in Nigeria’s territorial waters. The expanding range of piracy in the Gulf of Guinea emphasizes the ever-increasing need for not only increased maritime security capabilities of regional countries, but also greater regional coordination and information-sharing to address this transnational problem. However, in the Gulf of Guinea, there are many challenges associated with regional cooperation to counter maritime threats, including insufficient maritime assets (i.e., air, sea, surveillance, and communications) to pursue suspected pirates or respond to information that suspicious activity is afoot in their waters; disparities in maritime assets and capabilities due to a lack of continuous funding from land-focused governments; lack of appropriate relationships or communications mechanisms to share information on real-time cross-border illicit activity; and finally, the operational seam between the Economic Community of West African States (ECOWAS) and the Economic Community of Central African States (ECCAS), whose member states are most affected by maritime insecurity in the Gulf of Guinea. I always appreciate opportunities to learn about these issues up close, and as luck would have it, I was able to do so when I observed a multinational counter-piracy exercise from an operations center in Douala, Cameroon last March. 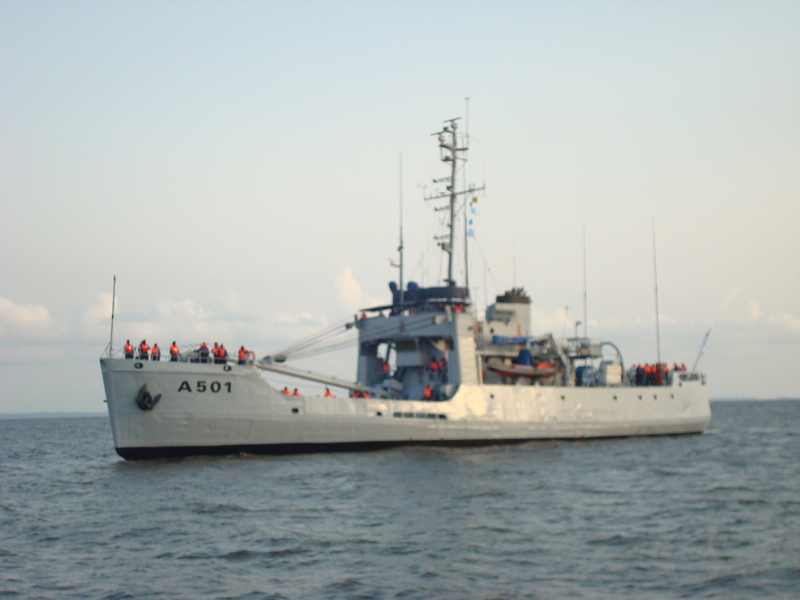 After the exercise’s pre-sail, I was offered the chance to ride the pilot boat from the port of Douala out to the point where the Wouri River meets the Atlantic Ocean in order to meet the NNS Kyanwa that had sailed down from Nigeria. 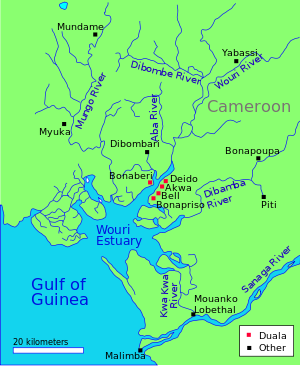 The next morning, I awoke to reports that heavily armed pirates had sailed down from the Niger Delta, all the way up the Wouri River (past the Cameroon Navy base), moored their speedboats, walked into the Bonaberi neighborhood, and proceeded to rob two banks for a few hours before hopping back in their boats, speeding down the river, and heading back towards the Niger Delta. 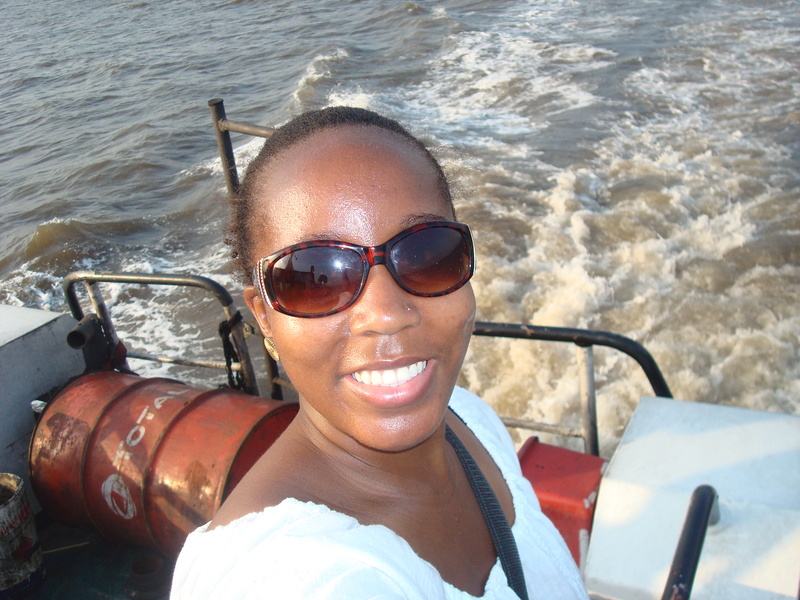 Having traveled part of that path the day prior (although at a much slower speed than pirates in speedboats), I gained an appreciation for how long it took to travel between the port of Douala and the point where the Wouri meets the Atlantic. And although there had been three similar bank robberies in Limbe, Cameroon in September 2008, I was also pretty amused at the sheer irony of having several warships either in the port of Douala or anchored in the Atlantic for a multinational counter-piracy exercise…when a cross-border pirate attack occurred. Fortunately (or unfortunately for the pirates), Cameroon’s Bataillon d’Intervention Rapide (BIR) caught up with the pirates just before they entered Nigeria and either killed or apprehended many of them after a firefight. In spite of the outcome of this attack, this story calls attention to the fact that individual countries cannot address this transnational challenge alone. In order to facilitate regional cooperation on maritime security, U.S. Africa Command and the Africa Center for Strategic Studies coordinated a Maritime Safety and Security Conference last month that brought together over 250 members of over 20 countries that are members of ECOWAS and ECCAS. 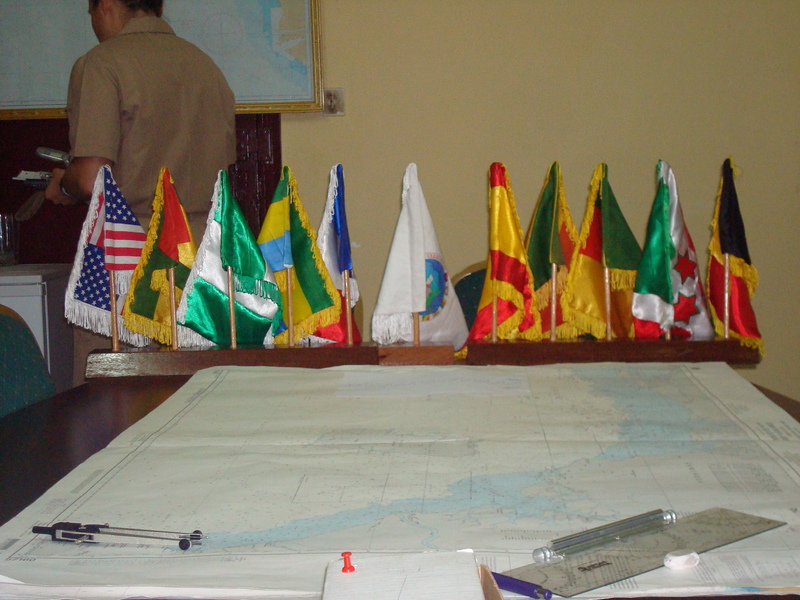 This conference was a continuation of earlier efforts to increase regional cooperation, and allowed ECOWAS and ECCAS to respond to United Nations Security Council Resolution 2018 (2011) and United Nations Security Council Resolution 2039 (2012), which encouraged regional organizations to develop cooperation mechanisms to combat piracy in the Gulf of Guinea. The conference ended with the signing of a communiqué to recommend that ECCAS, ECOWAS and their member states continue to develop a Memorandum of Understanding and Operational Agreement and submit it to their respective Regional Economic Community Secretariats for eventual adoption by their member states. Clearly, regional states are recognizing the importance of a regional maritime security framework that would focus on coordinating each country’s maritime security operations and facilitate information-sharing on ongoing pirate attacks. And although these countries will have to overcome the aforementioned challenges to regional cooperation, we will continue to see examples of increased cooperation due to the increasing scope and scale of piracy in the Gulf of Guinea. For additional information on maritime strategy at the level of the African Union (AU), check out this part of their webpage. Also, for a discussion of some of the efforts that have taken place within the AU and subregional organizations to address maritime threats, consult Toward an African Maritime Economy: Empowering the African Union to Revolutionize the African Maritime Sector. SINCE the spike in piracy off the coast of Somalia in 2008, the United States and other international stakeholders have achieved moderate success employing a range of counter-piracy methods at sea. A series of U.N. Security Council resolutions passed in 2008 authorized states or regional organizations to conduct counter-piracy operations on the high seas and in Somali territorial waters, eventually authorizing “all necessary measures” appropriate in Somalia, provided they are undertaken with the cooperation of Somali Transitional Federal Government (TFG). The multinational naval presence in the pirate-infested Gulf of Aden and Indian Ocean presently consists of approximately 30 warships contributed by Combined Task Force 151 (CTF-151), the EU’s Operation Atalanta, NATO’s Operation Ocean Shield, and navies from countries such as Russia, India, China, Iran and Japan. Advances in the application of non-lethal ship defenses by the shipping industry have resulted in 80 percent of attempted pirate attacks being foiled without assistance from warships on patrol. Between January and September 2009, attempted pirate attacks had a one in five chance of success, largely due to naval patrols and increased merchant vessel protection. Still, pirates continue to stalk ships off the coast of Somalia. Their operations have escalated in frequency and range, all at cost to global maritime commerce. Compared with 111 attacks during the entire year of 2008, there were 168 attacks in the first nine months of 2009. Pirates operating in these waters have expanded their operations as far north as Oman and as far south as the Seychelles and Madagascar — with attacks occurring up to 1,100 miles from Somalia’s coast. At a time when the shipping industry struggles to recover from the global financial crisis, piracy imposes costs exceeding hundreds of millions of dollars per year — costs that have been passed on to consumers worldwide who depend on goods traversing these waters. Meanwhile, Somalia remains in a persistent anarchic state. The social services and security sector institutions that would have ideally protected the country, its resources and its citizens against internal and external threats disappeared with the collapse of the state nearly two decades ago. Without a local maritime security force to counter illicit activities at sea, foreign fishing trawlers have been able to poach an estimated $300 million worth of fish each year, destroying the livelihoods of Somali fishermen. The security and governance vacuum resulting from the state’s collapse created a permissive environment for the symptoms of land-based malaise to be projected out to sea. Somali pirate attacks have taken place proximate to a key sea line of communication, Bab el-Mandeb, which connects the Red Sea to the Gulf of Aden. Approximately 8 percent of the global seaborne oil trade traverses this maritime chokepoint annually. In a war torn country where the average Somali earns $650 per year, pirates can earn up to $10,000 per raid. Without a functional Somali coast guard or navy to prevent pirates from preying on ships, piracy remains a lucrative enterprise with high, reliable profits and insufficient risk or punishment to deter continued attacks. And even with an increased foreign naval presence, there are simply not enough ships to indefinitely patrol the 2.5 million square miles of water that border Somalia’s 1,800 mile coastline. Despite evolving counter-piracy methods adopted by the United States and others, sea-based methods to combat piracy have been inherently limited in their ability to remedy the security and governance vacuum on land. Although these methods do target some of the immediate symptoms of instability in Somalia, they do not target the land-based catalysts for pirate activity, such as lawlessness, pervasive insecurity and lack of economic opportunity. In pursuit of a lasting solution to Somali piracy, the international community should increase efforts to build local security sector capacity over the long term, so as to mitigate the extent to which lawlessness ashore can continue to create lawlessness at sea. Such engagement could allow for the emergence of an environment conducive to political, social and economic development. That said, addressing the weakness of the Somali security sector is not a silver bullet. The current TFG exists in a constant state of peril, exercising little control over the area it purports to govern. Lacking domestic acceptance as a legitimate governing body, it is perpetually preoccupied with staving off defeat by various insurgent groups. In order to simultaneously remain in power and bolster what little credentials it has, the TFG has had to maintain a very delicate balance between accepting external assistance without looking like a tool of Western interests, and generating broad domestic support. After two decades of civil war and anarchy, Somalia will require a sustained interagency and international commitment to facilitate the creation of functional governing institutions that can support a security sector. Given the threat posed by insurgents on land, the TFG is likely to prioritize land-based security assistance over maritime security sector capacity-building in the immediate future. At any rate, the development of an indigenous police force and military, supported by robust security sector institutions, is a step in the right direction that could enable the country to address the security and governance vacuum that allows pirates and insurgents to thrive. Until Somalia is able to provide its own security, the gap will gradually have to be filled by regional and international partners. On land, the international community should focus its efforts on providing concrete financial, logistical and political support to strengthen the African Union Mission to Somalia (AMISOM) and any subsequent multinational peacekeeping force, so that they might achieve their strategic, operational and tactical objectives. Flaws notwithstanding, it is crucial that the international community provide a strong, sustained commitment to AMISOM, since its mere existence is at the very least a positive development for African regional security. Stronger international support may also lead African countries that have pledged troops, but not yet sent them, to do so. Ideally, a sufficiently trained and equipped peacekeeping force could make positive contributions towards creating an environment amenable to political, social and economic development in Somalia. At sea, more emphasis should be placed on building maritime security sector capacity in neighboring littoral countries, such as Kenya, Djibouti, Yemen, Tanzania, the Seychelles, Madagascar and Mauritius. Regrettably, these countries are currently ill-equipped to provide sufficient maritime security for themselves or Somalia. Many have security forces that have traditionally been land-focused, leaving the maritime security sector resource-deficient. Additionally, regional maritime security cooperation has not progressed to the point where it can counteract individual countries’ shortfalls in requisite training and equipment. Capacity-building and the facilitation of regional cooperation should increase the extent to which states’ maritime security forces could complement the efforts of multinational naval patrols, creating a secure maritime environment in the Gulf of Aden and Indian Ocean. Additionally, increased regional maritime security sector capacity could help confront other emerging maritime security threats, such as arms trafficking, human trafficking, drug trafficking and illegal fishing — which many argue is the original grievance that drove Somali fishermen to pursue piracy on a much smaller scale in the 1990s. In spite of the moderate success achieved at sea, many challenges remain in the pursuit of a definitive end to piracy off the coast of Somalia. The predominant counter-piracy methods currently in use are limited because they address the symptoms of the problem alone. But as piracy has both sea and shore components, the international community needs to do a much better job of complementing counter-piracy methods employed at sea with comprehensive and sustained local and regional capacity-building to address the governance and security vacuum on land. While current sea-based methods are necessary to counter piracy, they are altogether insufficient at eliminating the land-based malaise that allows such activity to occur at sea.